A few days ago I saw a few posts on the Summits on the Air (SOTA) Australian Yahoo group about “SOTA activators pile up process“. I assume these comments were a spin off to last weekend’s SOTA Spring activation weekend. Personally, I did note a few SOTA activators not listening for QRP and mobile portable, etc, and just working the big guns. However the majority of activators are very good. What was more noticeable over the weekend was that there was at times some poor operating practice by SOTA chasers and park hunters. The good operators were fortunately by far in the main, but netherless the occasional poor operating practice by some was annoying. Here are some of my thoughts. I am not professing to be the world’s best operator. Far from it. A few stations have got into the habit of calling between overs. In other words I am in contact with VK5AA and putting it back to them for their final over, and a cheeky station calls in between overs with their call sign. Not wanting to wait for the QSO to finish and join the other paitently waiting chasers and hunters. I have now decided to ignore those stations. They are simply queue jumpers. I was questioned by a senior ham over the weekend as to why I had not acknowledged him when he did exactly this. So please, if you are reading this and are guilty of queue jumping, please cease this practice. Please WAIT until the QSO is completely finished. And there are still those out there, that come up on frequency, without asking if the frequency is in use, and take over a frequency. This happened to me a few times over the weekend. Clearly they couldn’t hear me. I understand that. But to come up on frequency without asking if the frequency is in use, is just rude. And those operators were quickly told by the chasers and hunters that I was working. Now that doesn’t always work out in practice. Because I often find that when I ask if a frequency is in use, there is already a large crowd waiting for me, and I invariably hear, ‘no the frequency is all yours Paul‘, and then it is ‘swing into action’ time. However, I always break from the crowd, every 10 minutes or so and call for the S2S and park to park contacts, then QRP, then portable and mobile. If you do, it is amazing who you get in the log. When I activated Newland Head Conservation Park earlier in the year as part of the VK5 Parks anniversary weekend, I was operating right on the beachfront, with the Southern Ocean spray on my face. When I returned home a day or two later, and was checking my emails, I read with interest that some of my mates in Europe had written that they could hear me on 40m ssb in Europe, but couldn’t get through the VK pile up. What I learnt from this, is that you never know who is listening. So call for DX, you might be surprised. Certainly if you get onto 20m from a WWFF park, there won’t be any shortage of DX callers. And when I mention above, ‘stations who can hear me, but with difficulty’, I am sure you have heard SOTA & park activators who drift in and out with the QSB. It is incredibly frustrating as a chaser/hunter, when the signals of these stations come up out of the noise, but they are only listening for the big guns. So if you are an activator, please try calling for these stations as well. I am sure those chasers and hunters will be pleased if you do. I also tell the callers to spread out their calls, rather than calling all at once, over the top of each other. I jot down the calls I hear and acknowledge that I have received them, and then bring them in and work them in, in the order I hear them. It seems to work well. 1. The DX station operators are in charge of any pile-up. 2. The DX station should make and adhere to their operating rules quietly and respectfully. 3. The DX station should use, when appropriate, call areas and areas of the world for better accuracy, rate and order. 4. The DX station should use split operation and spread stations out, keeping in mind others not in the pile-ups. A must. 5. The DX station should give their call sign at least every 10 minutes and maintain a pattern especially when ending a QSO. 6. The DX station should create a rhythm or timing which maintains a good rate and allows the pile-up to call at the right time. 7. 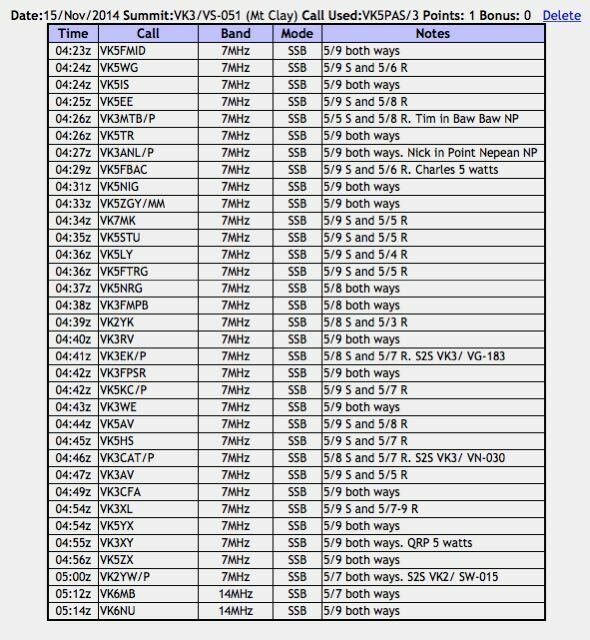 The operators in the pile-up, if not sure of a QSO, should dupe and the DX operator continue not wasting time commenting. 8. The DX station should work those who will create the fastest rate, at least at first, then make an effort to work the weaker stations. 9. No one should lecture on the air. 10. Everyone should always require and give full calls. 11. Know and practice the gray line. 12. Know the equipment being operated such as the split button, audio levels, keying wave form, etc. 13. NEVER be a “KC Cop”….never. 14. Operators giving spots on a DX Cluster should insure their accuracy! 15. Keep away from personal, political, and religious comment any time on the air and/or the DX Cluster. Keep all comments in the true spirit of ham radio whereby ALL ARE EQUAL. 16. Don’t rush when giving your call when the DX station is standing by, especially on CW. Time will be lost trying to obtain ALL of the call sign. 17. Don’t call the DX station constantly. Get in the rhythm. 18. Let the last station complete his QSO. 19. Use only the power it takes and figure out what that is! 20. Figure out the DX operator’s operating practice for greater success. 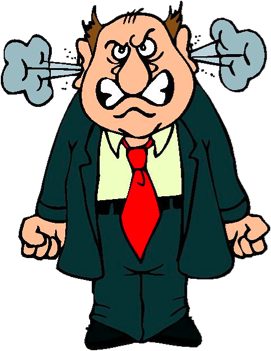 Please refer to the DX Code of Conduct for some very good information…..
And finally, for a bit of a laugh….. Yesterday (Sunday 24th November, 2014), a ‘Welcome to amateur radio’ symposium was held at the Blackwood Community Centre. The event was sponsored by the Adelaide Hills Amateur Radio Society (AHARS). Eighty (80) people attended the event which commenced at 8.45 a.m. and concluded in the afternoon at around 4.00 p.m.
Those attending ranged from 9 Foundation calls all the way through to some very senior amateurs. It was great to see a good blend of experience. The cost of attendance on the day was just $5.00. I chaired the day, which commenced with a welcome by Tony VK5KAT, the AHARS President, and then a short introduction by yours truly. There were 16 presentations during the day on a variety of topics. Below is the program….. Morning and afternoon tea consisted of tea, coffee, biscuits, and various cakes. Lunch consisted of sandwich platters provided by Subway at Blackwood, and pizzas from the Little Caesars pizza shop at Eden Hills. I plan to run another day in mid 2015, covering different topics including home brew, EMR, satellites, fox hunting, digital modes, Dxpeditions,etc. After activating Lower Glenelg National Park and Cobboboonee National Park, it was time for some action in the Summits on the Air (SOTA) program. After all, this was also the 2014 SOTA Spring Activation Weekend. 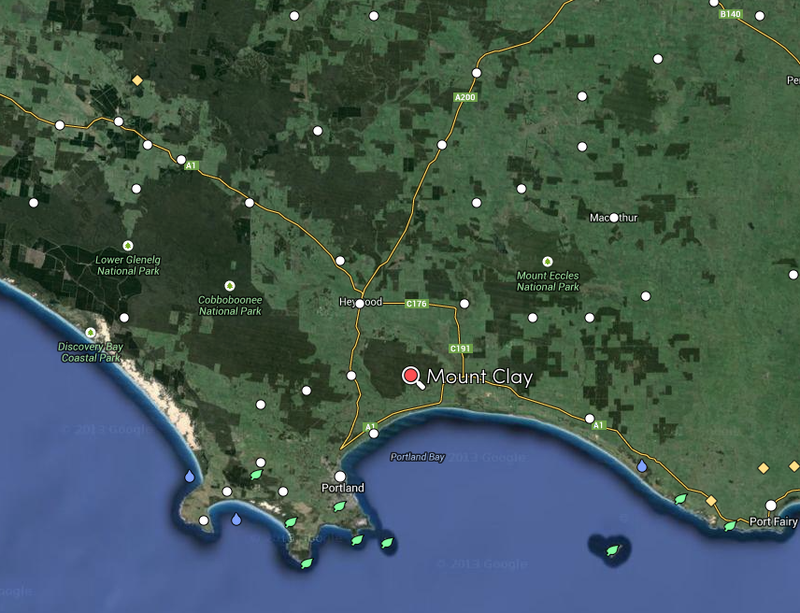 So I headed to Mount Clay, VK3/ VS-051, which is located about 30 km north east of Portland. Mount Clay is 186 metres above sea level, and is worth just 1 SOTA point. It was first activated by VK3DEE in August, 2013, and has been activated a total of 5 times. Surprising really, because it is a very easy summit to access. The summit is a digital TV broadcast site, so there is a road leading all the way to the summit. I called in to the Narrawong General Store for directions. Thanks to the very friendly people there, I found my way to the summit quite easily, via Mount Clay Road, then Tower Road, and then Angelino Road. As the gate at the end of Angelino Road, has got a plethora of padlocks on it, I didn’t want to venture all the way to the trig point which was visible from the gate. Although there were no signs restricting access, I wasn’t 100 % sure, so I played it safe and set up at the gate. This is well inside the activation zone. I tuned to 7.095 and started calling CQ SOTA and was greeted by Brian VK5FMID in Mount Gambier with a beautiful 5/9 signal. This was followed by Nev VK5WG in Cyrtsal Brook who was also 5/9, Ian VK5IS in the Beetaloo Valley, again 5/9, and then Tom VK5EE at Mount Gambier. I was pleased. I had my 4 qualifying SOTA contacts. My 5th contact was with Tim VK3MTB who was portable in the Baw Baw National Park VKFF-020, as part of the 2014 KRMNPA Activation Weekend. And soon after this I was also called by another park activator. 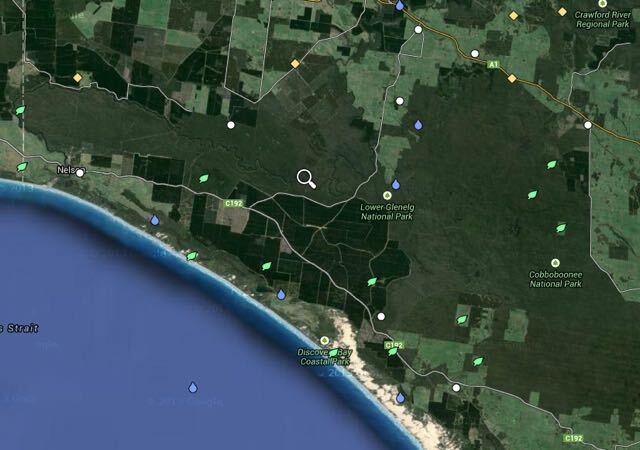 This time, Nick VK3ANL who was portable in the Point Nepean National Park, VKFF-628. A steady flow of callers followed from VK2, VK3, VK5, & VK7. All had good signals and generally my signal with just the 5 watts appeared to making the journey to most parts of eastern and southern Australia. My first Summit to Summit (S2S) contact was with Rob VK3EK who was portable on VK3/ VG-133. About 6 contacts later, I had my 2nd S2S with Tony VK3CAT who was portable on Mount Strickland, VK3/ VN-030. After traffic had slowed on 7.095, I tuned down to 7.090 and found John VK2YW who was portable on Granite Mountain VK2/ SW-015. I gave John a call who was a good 5/7 signal to Mount Clay (5/7 received in return). It was starting to get very dark, with rain threatening, and thunder & lightning nearby, so it was time for me to qickly lower the antenna and remove the links for 20m. I put out a CQ call on 14.310 and this was responded to by Mike VK6MB and then John VK6NU who had a very strong 5/9 plus signal coming in from Western Australia. The rain was alomst here, so I quickly took down the gear and ran back down the road to car. Making it just in time, before the heavens opened up. I had a total of 34 contacts in the log. Just as I had got back to the car I heard Rob VK2QR calling CQ from the top of SOTA peak, The Twins, VK3/ VE-017. I had just missed another S2S. But I did manage to make contact with Rob from the car (5/9 both ways). I then worked Andrew VK1NAM/2 from the car. Andrew was on SOTA summit VK2/ SM-053, and then Peter VK3PF who was portable on SOTA summit, Monkeytop, VK3/ VE-041, which was also in the Snowy River National Park, VKFF-455. A new park for me. Yeeehhaa! More information on Peter’s activation can be found on his WordPress site at…..
Cobboboonee is abut 18,510 hectares in size (45,700 acres) and was proclaimed as a National Park in November, 2008. Prior to this the area was formerly the Cobboboonee State Forest. The park has lowland forests, heathlands and wetlands. The Lower Glenelg National Park is located just to the west of Cobboboonee. There are a number of walking tracks in the park, including the spectacular 250 km long Great South West Walk. There is also the Great Cobboboonee Horse Trail. The Gunditjmara aboriginal people are the Traditional Owners of this land. I presume that Cobboboonee is aboriginal for something, but I haven’t been able to find out what? The forest within the park is home to a variety of plants and animals including towering Blackwoods, tree ferns and many small fungi. Endangered Powerful Owls, Yellow bellied fliders and Kingfishers can be seen. The park provided habitat for the endangered Long-nosed Potoroo. Prior to calling CQ, I tuned around the 40m band and found Andrew VK1NAM on 7.090 who was portable on Blackfellows Hill VK2/ SM-033. More information on Andrew’s activation can be found on his WordPress site at….. I then found Johnno VK3FMPB calling CQ on 7.095 from the Grampians National Park. Johnno was my first KRMNPA contact whilst in Lower Glenelg. After finishing up with Johnno, I tuned up a little higher to 7.105 and located John VK2AWJ who was portable in the Warby Ovens National Park. I then decided to prop on 7.110 and call CQ. It wasn’t long before I had a mini pile up going. First caller was the ever reliable Larry VK5LY from The Riverland, with a booming 5/9 plus signal. This was followed by Tom VK5FTRG in Mount Gambier, Rod VK5VRB at Meadows, and then Mike VK3XL who was operating portable in the Churchill National Park, VKFF-621. Mike had a very strong 5/9 signal. A few contacts later, I was called by Terry VK3UP who was portable in the Brisbane Ranges National Park. About half a dozen contacts down the track, and Phil VK3BHR called in, on the top of Mount Alexander, VK3/ VN-016 (5/9 both ways). It was starting to get very dark and I could hear the sound of thunder in the background. Greg VK5ZGY then called in. He was mobile at Penola in the South East, not all that far away, and advised that there was lightning at Penola. No doubt that was what I could hear, heading my way. But fortunately, there was no rain at Cobboboonee for the time being. A few QSOs later, Ron VK3AFW called in, whilst portable on Arthurs Seat, VK3/ VC-031. Apparently Ron had bumped in to Nick VK3ANL a little earlier, who had been on the same summit. 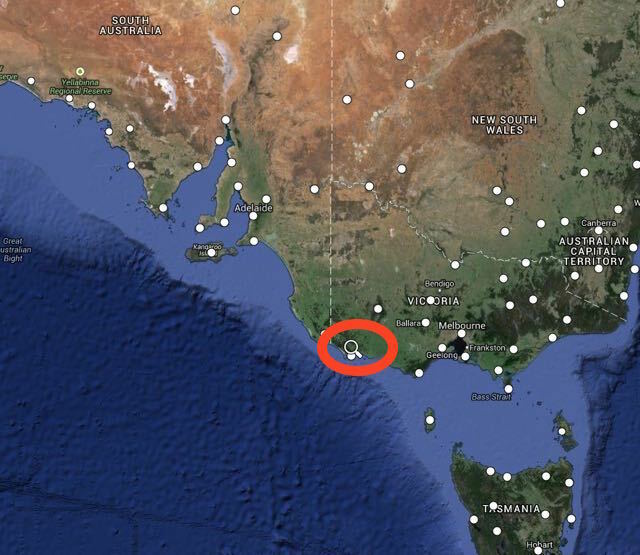 And speak of the devil, just 4 QSOs down the log, Nick VK3ANL called in, whilst portable in the Mornington Peninsula National Park, VKFF-333. I then had a lengthy char with Rob VK2QR who was portable on Mount Lock, VK3/ VE-005, in the Alpine National Park. Rob was very interested in the World Wide Flora Fauna (WWFF) program, which I explained to him. I remained on 7.110 for another 25 minutes, before QSYing and having a tune around the 40m band. I found Amanda VK3FQSO calling CQ from SOTA summit, West of England Fire Tower, VK3/ VW-016 in the Kara Kara National Park. I then found Peter VK3PF calling CQ from Mount Ellery VK3/ VG-153, which is located in the Errinundra National Park. This was one of the last three Victorian National Parks I required to qualify for the Worked all 45 Victorian National Parks certificate for the KRMNPA. So it was with a fair degree of excitement, when Peter came back to my call. Some details on Peter’s activation can be found at his WordPress site at….. I then went to 7.100 and started calling CQ and was called by Bernard VK3AV at King Lake. Bernard is a keen SOTA & Parks chaser/hunter. John VK2AWJ/3 then called in, portable in the Warby Ovens National Park, and this was followed by Hiro VK3EHG who was portable in the Yarra Ranges National Park VKFF-556, and then Tony VK3CAT who was portable on Mount Vinegar VK3/ VC-005. I went on to work a few more stations, but the rain starting coming down quite heavy and it was time to head back to the warmth of the car. I had a total of 53 contacts in the log. I was very pleased, as the meant I had again qualified the park for the local and global World Wide Flora Fauna (WWFF) programs. After getting back to the car, I worked Terry VK3UP who was portable in the Brisbane Ranges National Park. Below is a video of the activation at Cobboboonee National Park….. Parks Victoria, June 2014, ‘Cobbboboone National Park Visitor Guide’. My first Victorian National Park activation for the 2014 Keith Roget Memorial National Parks Award (KRMNPA) activation weekend was the Lower Glenelg National Park (NP), VKFF-296, which I activated on the morning of Saturday 15th November 2014. 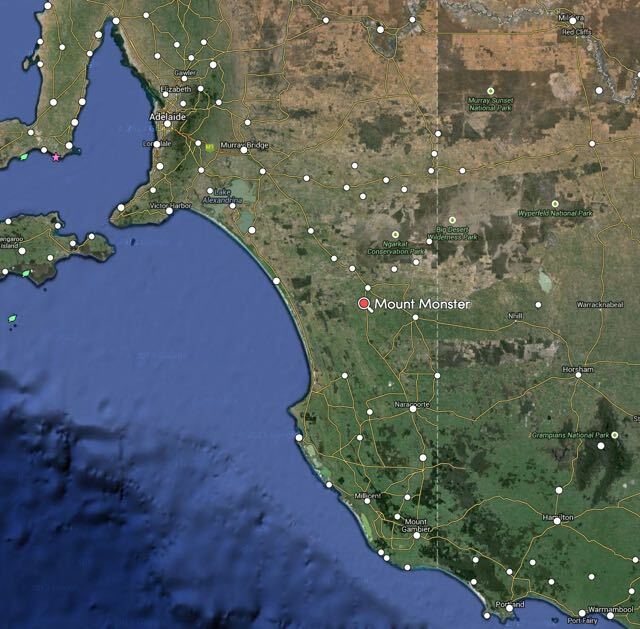 The park is located in South Western Victoria, about 420 km from Melbourne, and about 500 km from Adelaide. The park abuts the South Australian and Victorian border. The park is very popular, and receives over 200,000 visits per year. So after a cooked breakfast at my hotel, the Whalers Rest at Portland, I headed out along the Princes Highway and then travelled into the park via a series of dirt roads. I can highly recommend the Whalers Rest. I stayed there on Friday, Saturday, and Sunday night. The room was spacious and very clean, and the cooked breakfasts on offer were very hearty. Lower Glenelg NP is 27,300 hectares in size and encompasses the spectacular Glenelg River limestone gorge. The park, which was proclaimed in 1969, contains a wide range of forest, scrub, and heathland. The park has been included in the World List of National Parks and Equivalent Reserves compiled by the International Union for the Conservation of Nature and Natural Resources (IUCN 1985). The park includes the Princess Margaret Rose Caves. 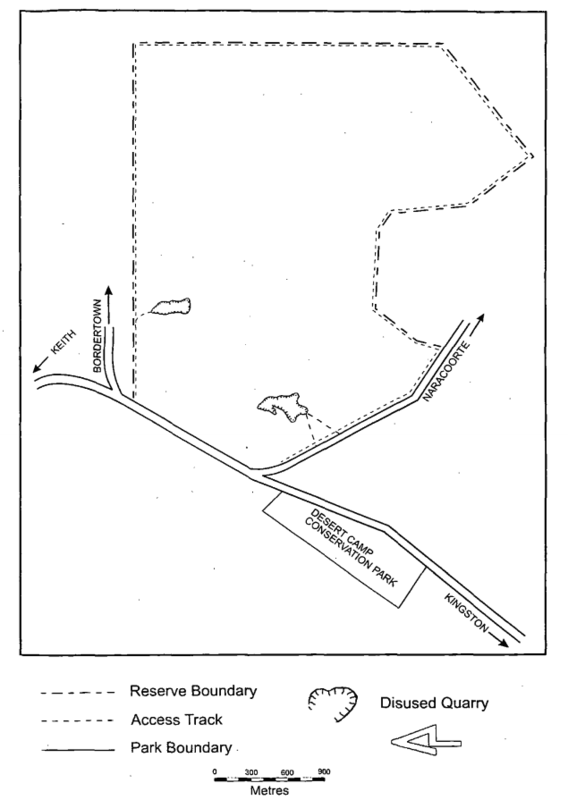 Prior to being declared a park, the land in which Lower Glenelg is located was exploited by European settlement, which included timber harvesting and repeated fuel reduction burning to provide protection for nearby pine plantations and the Nelson township. 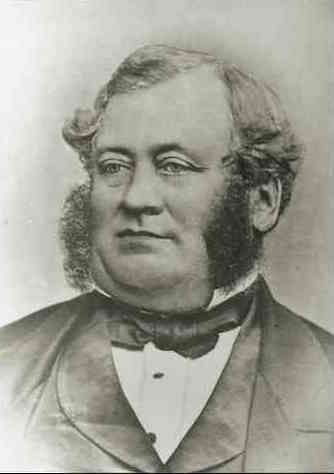 William Dutton first settled Southwestern Victoria in 1829 and this was followed by Edward Henty in 1834. 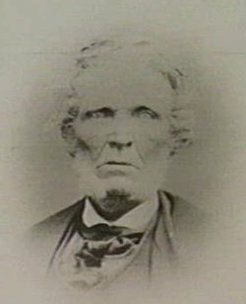 The famous explorer, Major Mitchell travelled through the area in 1836. His journey of discovery included exploration of the Glenelg River from the present Dartmoor to Nelson. The area was quickly settled and large pastoral runs dominated until the late 1940s. Even by the late 1800s the Glenelg River was already important to the local community for recreation, particularly angling. A number of shacks were erected along the river for this purpose. However, following proclamation of the Park in 1969 and a 15 year phase out period, nearly all the river shacks were removed, and the sites have been developed for public use. companies established major pine plantations throughout southwest Victoria in the 1950s. tree selection. Little obvious evidence of the logging remains today. as a commercial visitor operation. Recreational activities in the park include sightseeing, fishing, pleasure boating, canoeing, water skiing, picnicking, camping, and bushwalking. A diverse number of plant species are found in the park. More than 500 species of flowering plants and 30 ferns occur in the Kentbruck Heath and Moleside areas alone. The park is also home to a large amount of wildlife, as I found out. It was very slow going through the park due to the large number of kangaroos and euros. Over 30 native mammal species have been recorded in the park. A number of threatened species are found in the park. The rare bat, the Large-footed Myotis is found in the park. Additionally, over 136 bird species have been recored in the Lower Glenelg NP. Three species are considered threatened in Victoria, including the Red-tailed Black Cockatoo, Rufuos Bristlebird, and the Powerful Owl. A total of 14 species of reptiles are recorded as living in the park, and there are about 32 fish species also recorded. I was ready to go at 7.00 a.m. Victorian local time. I found a nice quiet spot and set up my deck chair and fold up chair. I ran the Yaesu Ft-450 and 40 watts for this activation into my 40m/20m linked dipole @ 7 metres. It was quite difficult finding a clear frequency, as the 40m band was already very busy. I called CQ on 7.097 and my first contact was with Charles VK5FBAC at Strathalbyn. Charles had a good 5/9 signal and he gave me a 5/9 signal report in return. So it appeared the band was in good condition. A number of the ‘regular suspects’ followed, all with excellent signals. My first Summits on the Air (SOTA) contact in the park was with Rob VK2QR who was portable at Mount Hotham, VK3/ VE-006, which is also located within the Alpine National Park. Rob had a beautiful 5/9 signal to Lower Glenelg. This was followed by Andrew VK1NAM who was portable on VK2/ SM-036 within the Kosciuszko National Park. You can read about Andrew’s activation on his WordPress site at…..
About a dozen stations later, when things had slowed down a little, I found Rob VK3EK calling CQ in 7.110. Rob was portable on Mount Cann, VK3/ VG-133 in eastern Victoria, near the New South Wales border. I then checked in to the Riverland Radio Club’s Saturday morning net, which is held on 7.078 each Saturday morning. The net is run by Ron VK5MRE. After working Ron and a few other stations on the net, I quietly disappeared and found Peter VK3FALA on 7.095, calling CQ from Mount Elizabeth, VK3/ VG-074. Peter’s signal was down a little (5/3) and I was very surprised when he gave me a 5/9 signal report in return. I then spoke with Terry VK3UP who was portable in the Brisbane Ranges National Park, north of Geelong. Terry had a nice 5/7 signal coming in, and I received a 5/9 signal report. After chatting with Terry for a while, I then found Nick VK3ANL, on 7.090. Nick was portable at Arthurs Seat, VK3/ VC-031. I then found a clear frequency on 7.105 and put out a CQ call and was immediately greeted by Hans VK5YX at Hallett Cove with a 5/9 plus signal. This was followed by a number of callers from VK2, VK3, & VK5 who called in before and after the UTC rollover. They included Ian VK3TCX who was portable on Mount Elizabeth VK3/ VG-074, Fred VK3DAC on Mount Toolebewong VK3/ VC-033, and Peter VK3FALA on Mount Elizabeth VK3/ VG-074. It was time to pack up. But before I did I had one last quick tune around the band and worked Rob VK3EK again, portable on VK3/ VG-133, for the new UTC day. My last contact in the park was with Ron VK3AFW who was portable on Arthurs Seat VK3/ VC-031. It was time to head off to Cobboboonee National Park. I had a total of 50 stations in the log, which meant that I had qualified the park for the KRMNP, and also for the National (VKFF) and global (WWFF) awards. This included 10 x SOTA contacts and 3 x National Park contacts. Below is a video of the activation at the Lower Glenelg NP…..
Portland Region National Parks and Public Land Division, May 1991, “Lower Glenelg National Park Management Plan”. My fourth, and last South Australian park activation on Sunday 14th November, 2014, was the Desert Camp Conservation Park, which is located about 65 km north west of Naracoorte, on the northern side of the Kingston-Keith Road, and about 267 km south east of Adelaide. The park is about 49 hectares in size as was gazetted as Desert Camp National Park in 1967. About 14 months after the park was declared as a National Park, new works on the Keith-Kingston Road severed the park. On proclamation of the National Parks and Wildlife Act, 1972, the park became the Desert Camp Conservation Park. A word of warning before activating this park. Desert Camp is a Conservation Reserve and a Conservation Park. Make sure you are in the Conservation Park area and not the Reserve. I started off on 40m on 7.095 and my first caller was the ever reliable Brian VK5FMID in nearby Mount Gambier. This was followed by another South East park stalwart, Tom VK5FTRG, and then Peter VK3RV who had a very strong 5/9 plus signal. I worked a few mobile stations from this park which was really pleasing. The first contact was with Andrew VK1NAM who although a little weak, was perfectly readable from those noise free environment of the park. My next mobile contact was with Peter VK3TKK with a nice 5/7 signal, and then Joe VK3YSP and Julie VK3FOWL who were a good strong 5/8. And I also spoke with Allen VK3HRA who was mobile and had a nice strong 5/8 signal. A few QRP callers also called in. They included Damien VK5FDEC running 5 watts from his Yaesu FT-817. Damien seems to have been bitten by the QRP bug. And then Ron VK5ALR who was portable in Victoria and was running just 5 watts also. After working a total of 20 stations I headed off to 20m where I put out numerous CQ calls but I had absolutely no takers. I tuned around the 20m band but all I could hear were some weak signals coming in from Europe. It was a little too early for long path into Europe. 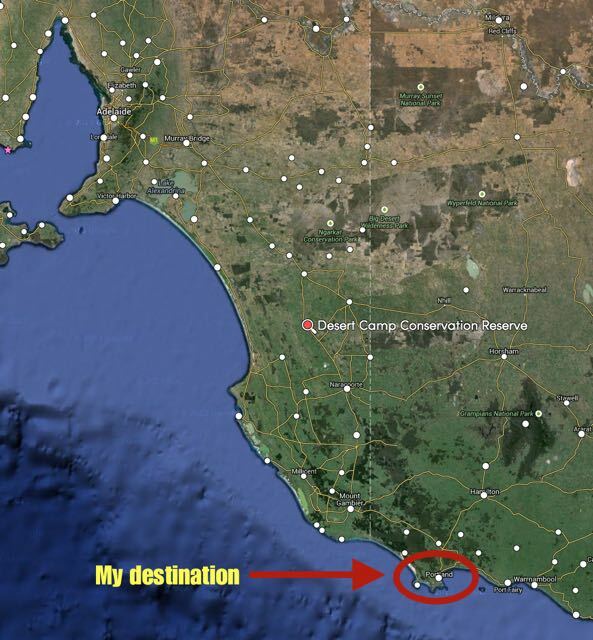 So I decided to pack up and head off to Portland in south western Victoria. I still had a few hours on the road before reaching my destination and I was starting to get a bit hungry and wanted to avoid the kangaroos on the road. So after 30 minutes in the park, I had a total of 20 contacts in the log from VK3 and VK5. My third Conservation park activation on the way to Victoria on Friday 14th November, 2014, was the Mount Monster Conservation Park (CP). I had not originally intended to activate this park. However I had access concerns re the Lower Glenelg Conservation Park, so I decided to cancel that activation and fit in Mount Monster instead. This was to be a new unique park for me. 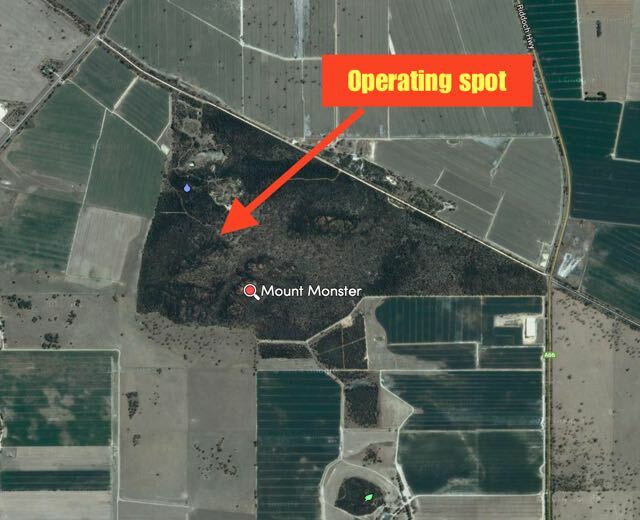 Mount Monster CP is located about 14 km south of the town of Keith, and about 238 km south east of Adelaide. Mount Monster CP is about 93 hectares in size and was dedicated as a Conservation Park in September 1976 as a gift from three surrounding land owners, including the Buddle and Ellis families in memory of pioneers Malcolm and Mercy Crooks of ‘Maroona’. The park is dominated by steep rocky outcrops separated by narrow, deep gullies, producing a wide range of gradients and a number of sheer cliff faces. These rocky outcrops are dominated by an unusual granite, found in only one other location in South Australia. The park includes the Mount Monster summit, known as Joyce’s Plateau, named in honour of Joyce Buddle. Although only having a low profile, the summit dominates the countryside for many kilometres. I have not been able to find out why the park was named Mount Monster? If anybody knows, I would be very keen to find out. But what I did learn, was that the nearby town of Keith was originally known as Mount Monster. It was not until 1889 when the town was officially proclaimed, that it was named Keith. For more information on the park, have a look at the post by John VK5BJE on his blog….. I entered the park off the Mount Monster Road, which runs off the Riddoch Highway, about 13 km south of the town of Keith. There is a dirt road (in good condition) which passes through the park (it is a one way road), that after about 1 km leads to a nice camping and parking area. This is where I set up. My first contact was with Larry VK5LY in The Riverland with a nice 5/9 plus signal. This was followed by Brian VK5FMID in Mount Gambier, and then Norm VK5GI operating QRP 5 watts with his home brew transceiver. Despite using low power, Norm was still an excellent 5/9 signal all the way from Willunga. Conditions on 40m seemed quite good, with a few contacts recorded with stations mobile in Victoria. They being with John VK3IC/m and Tony VK3CAT/m (both 5/9). I also had one more QRP contact and that was with Ian VK3FD, who although a little weak (5/1) was still very readable in the park with the non existent man made noise floor. I was fortunate to work two Victorian National Parks whilst in Mount Monster. The first contact was with Peter VK3TKK who was operating portable in the Organ Pipes National Park, and then John VK2AWJ/3 was was operating portable in the Lower Goulburn National Park. After working a total of 23 stations on 40m ssb, I lowered the squid pole and removed the links in the dipole, for 20m. I tuned to my nominated operating frequency of 14.310 and put out some CQ calls. However my only taker on 20m was Eric VK2ES. And there was a lot of QSB on Eric’s signal. I tuned across the 20m band and only heard one other station, a VK2 operating sub on 14.230 (the STV frequency). At the end of this activation, I was packing the gear away in the car and heard Rod VK2TWR working a ‘pile up’ from the top of a summit in New South Wales. I called a number of times but just could not break the pile up. So I decided to go for a walk to the top of the Mount Monster summit instead of persevering. I’m glad I did. There is a great walking trail to the top, which is not at all taxing. And you are rewarded with great views of the surrounding countryside. Sadly, it is not a qualifying summit for the Summits on the Air (SOTA) program, as Mount Monster only rises 93 metres above sea level. However, there are excellent 360 degree views to be had. A microwave repeater tower can be seen on the northern horizon, and Sugar Loaf Hill, from which Murray River water is reticulated to the nearby Keith township. I had a total of 24 contacts whilst in Mount Monster, into VK2, VK3, VK5, and VK7.